I had a marvellous Saturday. I spent the morning at my allotment mainly harvesting produce. 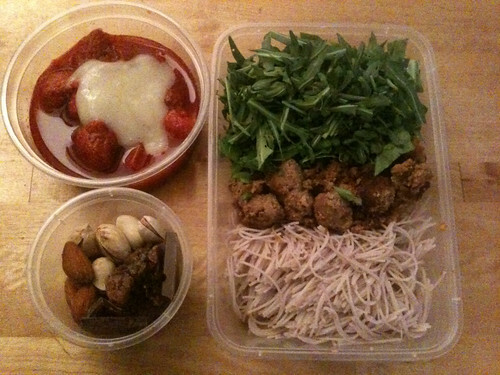 Then I devoted the afternoon to cooking said produce plus the goodies I’d picked up at the market earlier in the week. I was tired by the end of the day but so happy. Caramel apple peanut bar – This is divine. The photo does not do it justice. 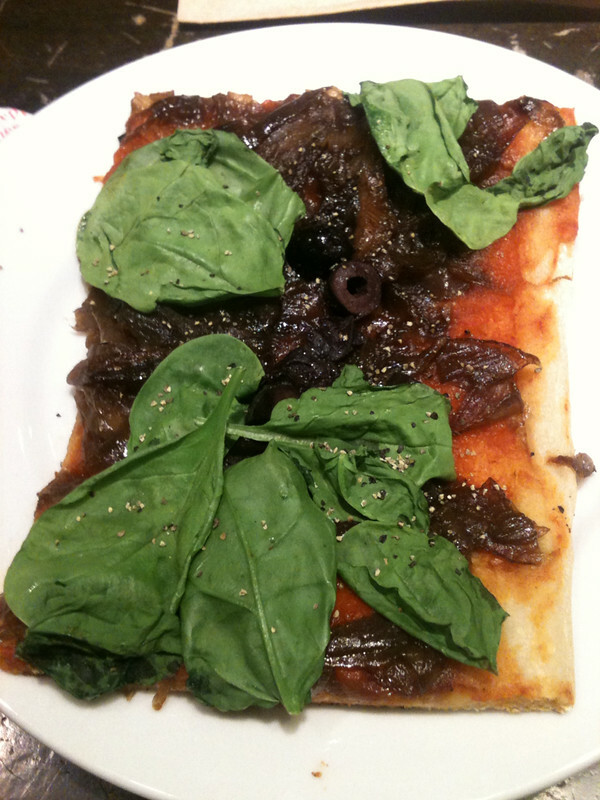 It’s from Veganomicon. And a tip for anyone else making this – follow the recipe. Do not decide that you will make some sugar syrup because you don’t have any date syrup, or believe that a microwave works just as well as a pan over a low heat. It still tasted good but I want to experience the ‘ribbons’ of caramel the recipe refers to. Mexican millet – another Veganomicon favourite. I successfully deviated from the recipe by chucking a load of sweetcorn in. Tortilla – This is my take on a Spanish omelette with potatoes and onions. I replaced the eggs with a gram flour batter. I am currently experimenting with the various approaches (fried potatoes? Boiled potatoes? Thick batter? Thin batter? How much salt? Add nutrition yeast?) in search of the perfect combination. 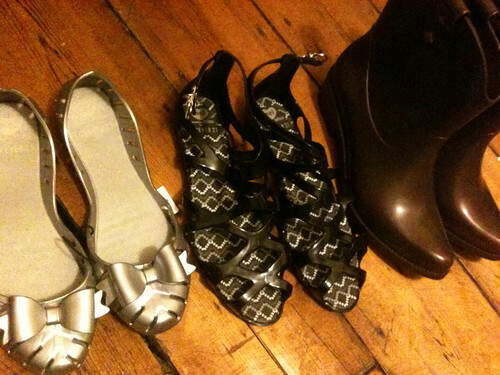 Melissa shoes – I adore Melissa shoes. I first came across them on Amelia Raley’s blog Doublespeak and have since gathered a small collection. They are so comfortable. I love the variety of styles. I love the way they are perfect for wet UK summers. I love that they’re vegan. It’s been a good week for my Melissa collection. I bought a pair in cowboy boot style for festivals fromNonnon (who use the excellent and communicative DPD to do their deliveries). My parents bought me back a couple of pairs from the US where Melissa has done a collection for Forever 21. The happiness project by Gretchen Rubin – Just reading this is making me happy. Having borrowed it from a friend I can see that I’ll have to buy my own copy so I can dip into it frequently for inspiration. I can see that I’m doing the right things – I’m being myself, I’m embracing novelty, I’m working on letting things go, I’m trying to get more sleep. It’s good to know that there are other people out there doing the same. The universe sending me signs – Well ok it might not be the universe but it’s great that when you start thinking about something (like relaxing more) and then something to help appears – e.g. a one minute meditation film turns up in your inbox. Or the wonderful colleague who brings in her shoulder massager for you to try and as a result you feel calm, energised, and a tad floppy all day. Family – You don’t realise how much you miss your family until you spend time with them. 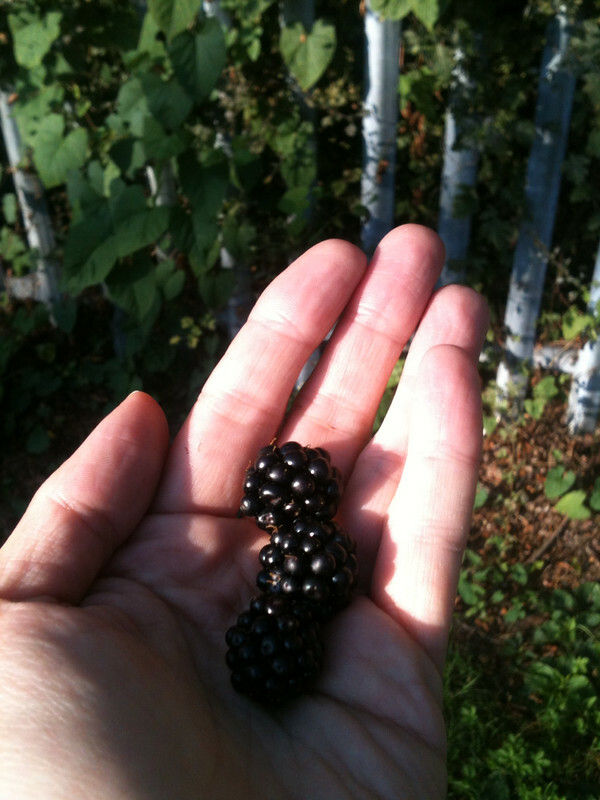 Foraging – picking handfuls of blackberries on my way to work is foraging at its easiest and most delicious. If only I’d taken a photo before eating most of them. I really enjoy looking at food. Even if I have no plans to buy anything there’s a certain pleasure to be had in admiring produce of all kinds. As a vegan I’m always intrigued to go somewhere new and see if they have products I haven’t previously tried. So I was pretty excited to hear that the new home for London Vegan Drinks was going to be Wholefoods Market in Kensington. I’ve visited the Piccadilly store on a couple of occasions and was happy with some more time in a similar environment. 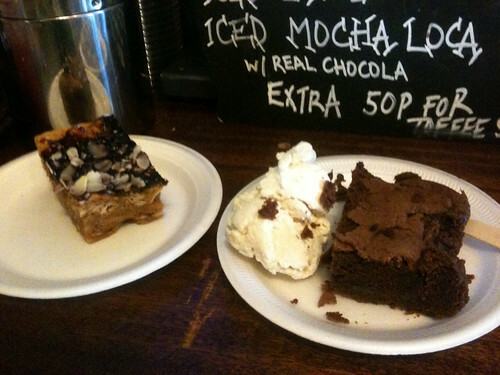 As LVD didn’t start until 6pm I had plenty of time to enjoy vegan goodies in Camden. 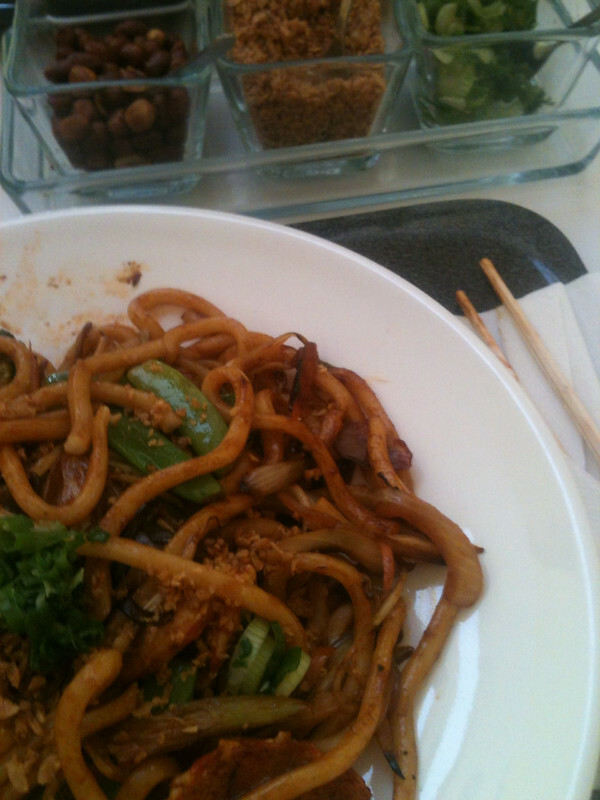 My first stop was Loving Hut for some stir fry and a vanilla milkshake. The guys serving couldn’t have been more helpful. 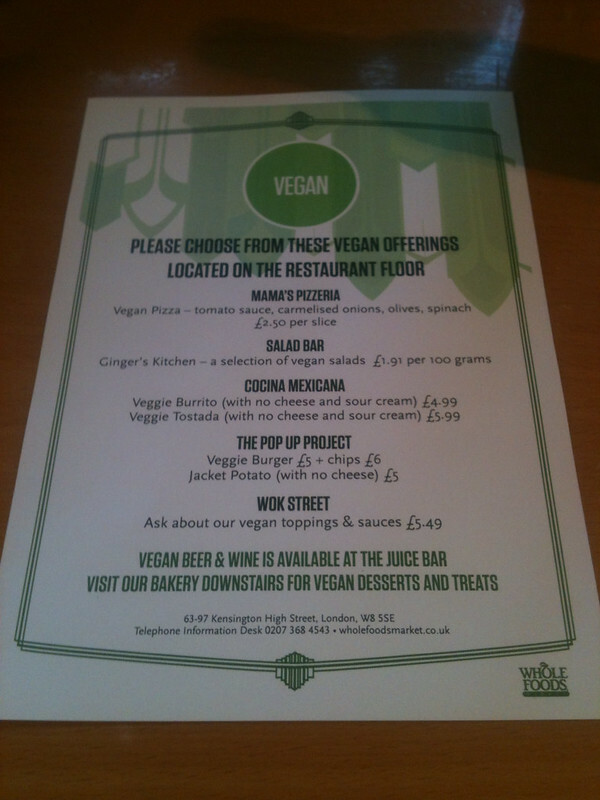 I also had a great chat with another customer who said the place had turned him vegan 3 and half years previously. He’d bought a bunch of work colleagues over for the buffet and been amazed at how good the food was. When he found out it was vegan he decided that he’d better become one. 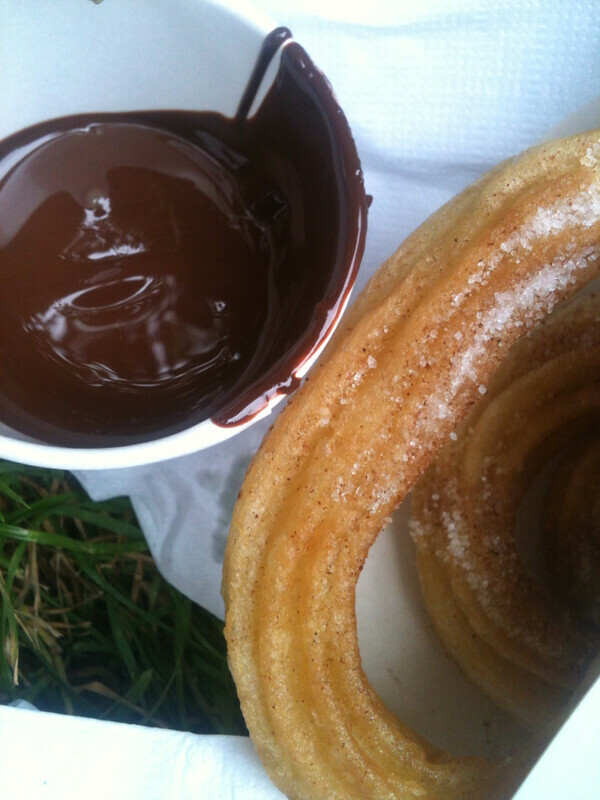 I was too full for dessert but happily a stride around the market and stables area left me ready to enjoy some sweet treat at Cookies and Scream. I turned up at Kensington Wholefoods market expecting a store similar in size to the Piccadilly Circus one. I had no idea that this was 3 floors of mega store. I could have spent hours browsing on the ground floor (vegetables without plastic packaging, open barrels of lentils, peanut butter grinders, vegan chocolates) but thought I should go and be social! I was really impressed with how welcome Wholefoods made us. From goodie bags to menus to smiley staff, it was a really great experience. It’s clear that Wholefoods get that vegan like to eat and drink as much as anything else. Food is important to us and we like to enjoy a variety of food stuffs which don’t all have to be totally healthy. We love cake as much as the next person. I couldn’t resist picking up some groceries before leaving and am determined to check out some of the other services on offer. I love the thought of taking my own bottle to fill with olive oil, and I’m sure I spotted a similar offering for wine. 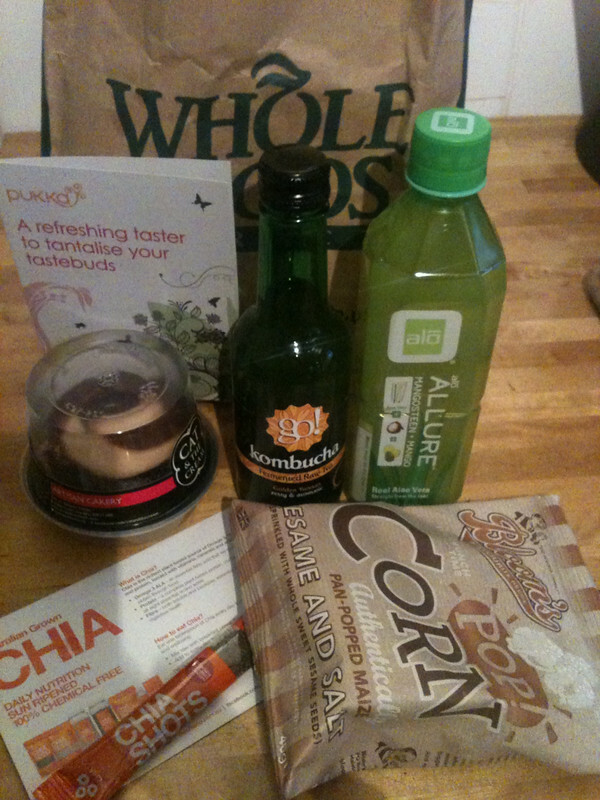 So to sum up I’m really excited about what Wholefoods has to offer, and looking forward to the next London Vegan Drinks so I can explore more. 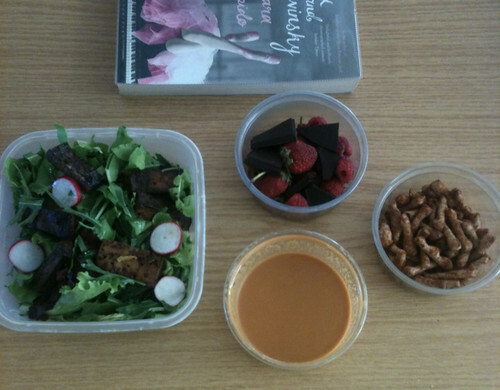 I made this lunch pretty much entirely for the delicious dressing. It’s from a recipe in The Garden of Vegan. It’s easily overlooked as the recipe title focuses on the spinach and tofu that form the salad, rather than on this delicious tangy dressing. It’s perfect for the hot weather we’ve been experiencing of late. The hot weather has also made lunch outside a truly enjoyable experience. Having recently moved offices I’m getting to appreciate riverside walks and plenty of delightful spots for lunch right on my doorstep. Salad – radishes, various leaves (spinach, rocket, Oak leaf lettuce) and Italian style tofu (yes, plain fried tofu would have worked fine but I was feeling inspired). 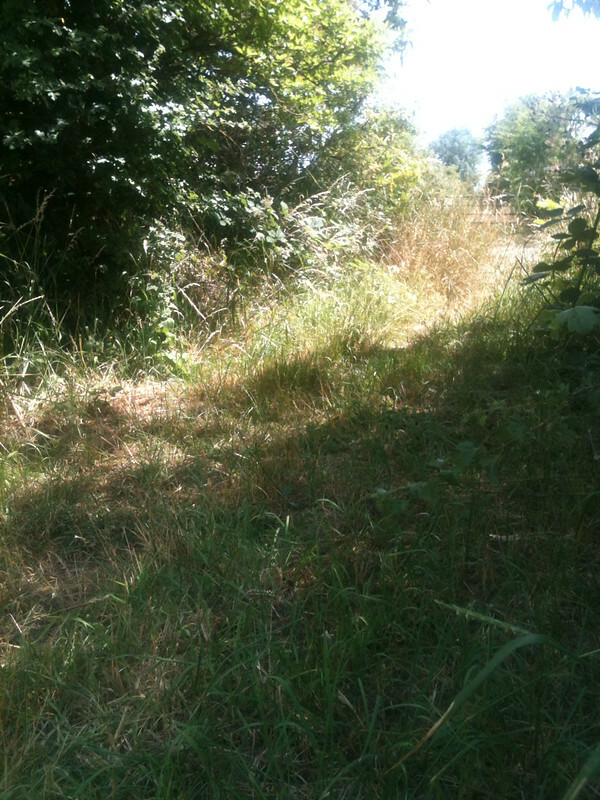 This is where I enjoyed my lunch while listening to birds and watching butterflies. Given the amount of meals I base on pantry, fridge and freezer clearouts you could be forgiven for thinking that I either have massive amounts of food hoarded, or that I buy so much food I can’t keep track of what I’ve got. I must confess I’m pretty amazed myself when I consider what to make for lunch, and uncover ingredients that compliment each other beautifully. It’s almost like I planned it. Maybe I’m subconsciously batch cooking! Pasties made with sesame seed pastry and filled with home-made vege burgers (made from tofu, soy mince and …who knows). Both pastry and burgers were in the freezer just waiting for me to put them together. Salad dressing (in red pot) – a blend of Safflower oil and balsamic vinegar. Twiglets – I was given a box of these last week and decided they are excellent nibble sized food. 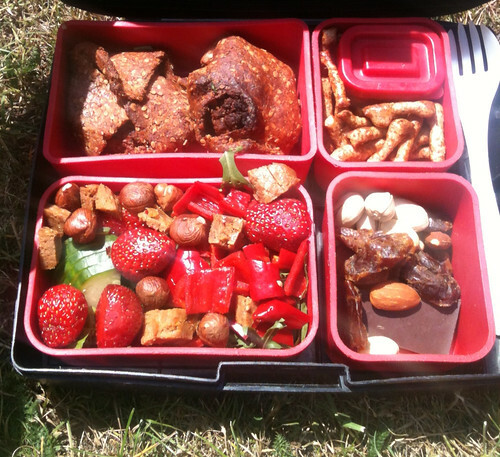 Snack mix – my favourite combination of dates, salted almonds, pistachios, dark chocolate. Salad with spinach, rocket, red pepper, cucumber, hazelnuts, and the last of the Field Roast meatloaf. Utterly glorious sprinkled with dressing. Best eaten in the sunshine. Preferably with grass to sit on and a cool breeze from the river. I had a fantastic weekend. It started with lunch at Pogo café on Friday lunchtime. I was delighted by my first visit to this vegan café, run by very chilled out volunteers. 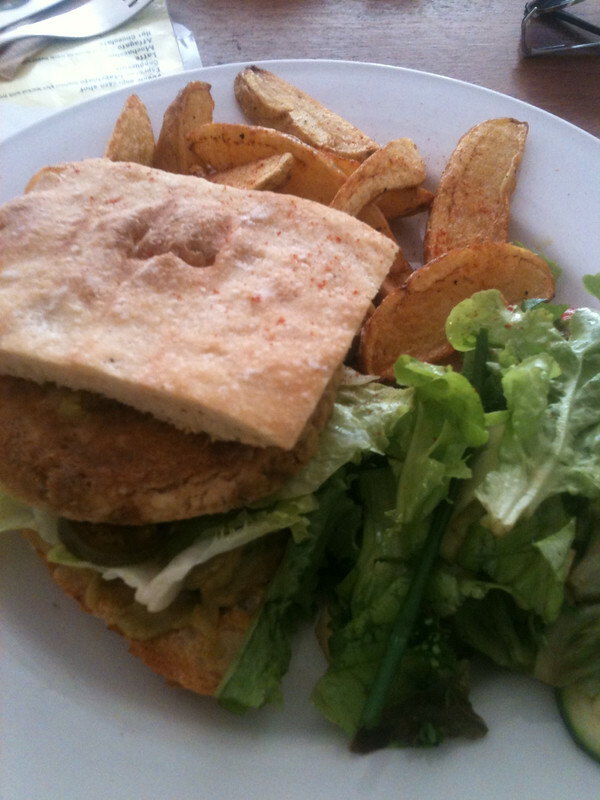 A tofu burger and wedges, was thoroughly enjoyed. Desert followed in the form of gooey chocolate tart. Then I headed into central London for the annual reception for Friendship and peace held at the Japanese embassy. Never mind the UK having a special relationship with the yanks; we’ve got one with Japan too. The Ambassador’s beautifully crafted speech touched on the five pioneers, and William Adams. I had a marvellous time reminiscing with other Pacific Venturers, and chatting with embassy staff about home-made tofu. I spent Saturday with my burlesque troupe, The Paper Dolls, at the Fling festival in Chelmsford. We were hosting a tent with a mix of performances, crafts and opportunities to dress up. I also managed to wander round and spotted Juke Box Jenny, a beach, the Legs Akimbo sports day, a silent disco, trash to treasure craft (an opportunity to create fabulously crazy home made hats), and a cabaret tent (with performances from Helles Belles burlesque, and Ginger Blush). Happily we were right next to the acoustic stage so I got to enjoy live music throughout the day. Late on Saturday night I waved goodbye to the fire garden, loaded the equipment into my car and drove back across the deserted park weaving between tents. It was eerie but beautiful. I then proceeded to spend Sunday picking large quantities of allotment produce, making lots of jam, reading in the sun in the garden, and playing Bass in a hot attic. 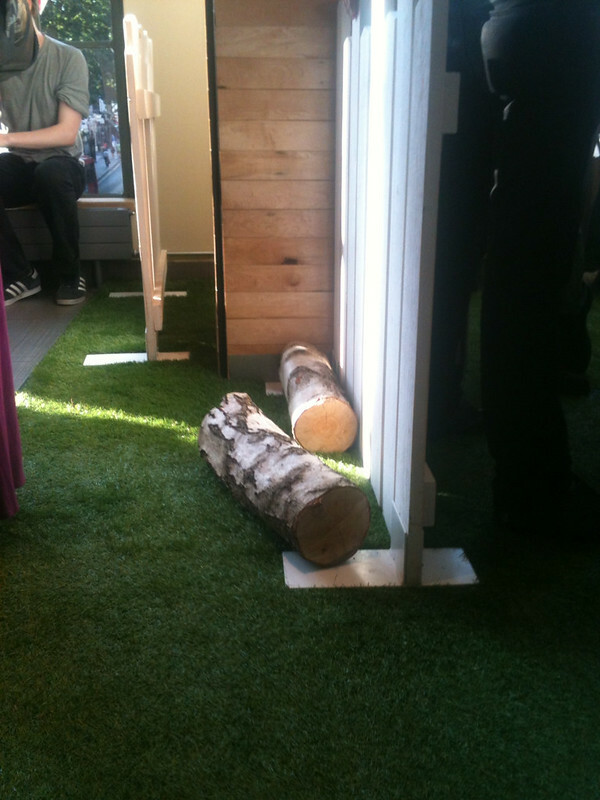 And the only photo I took all weekend is the one at the top of this post which is my lunch on Friday. During the busiest and most exciting periods of my life I’ve often failed to keep a diary. Hence I can only assume that this weekend I was lost in the moment. Just too busy enjoying myself to record anything. Are you coming to the Fling? 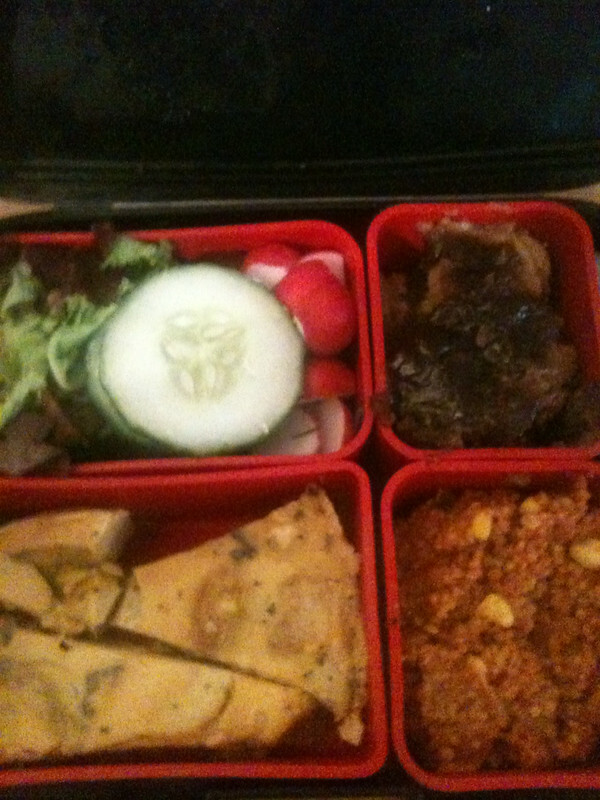 What’s exciting about this lunchbox is that it makes use of the leftover pulp from my soy milk experiments. My first attempt at making soy milk resulted in a huge quantity. I was overwhelmed with the amount of beans and liquid. As a result I don’t think I squeezed out the pulp (Okara) quite as well as I could have. Instead I put it in a tub, and flung in the freezer to use at a later date. And clearly that day has come. When I’ve had Okara previously, I’ve been able to fry it and get something quite crispy to serve with soy sauce and onions. This time it clearly wasn’t going to work like that. This stuff was extremely moist! So I added some peanut butter and chilli. The result was a thick, creamy satay type sauce. Delicious served immediately but even better with marinated soy chunks mixed into it before baking. Strawberry and rhubarb compote with macadamia cream – I wanted to enjoy the first of this year’s allotment strawberries all week so I made compote. I did add some coconut sugar but won’t bother in future as they don’t really need it. I made and froze the macadamia cream (from VWAV) in December so just needed to defrost it. Spinach and rocket, marinated soy chunks in Okara peanut sauce,and rice noodles – this is such a good combination. A blast in the microwave wilts the greens slightly, and makes this ideal for a ‘summer’ day in the UK.Dates, dark chocolate, pistachios, and salted almonds – my top snack combination at the moment. The flavours all play together very nicely. P.S. this week’s lunchtime reading is Attack Alarm by Hammond Innes.